WELCOME to the NewsMail's 2016 Local Government Quadrennial Elections page. 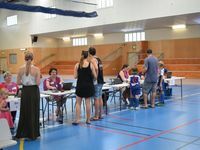 THE count of votes in the Bundaberg Regional Council elections from the weekend is continuing, with no change in the positions of the candidates overnight. There will be several new faces around the council table when the final results are out. Sitting councillor Alan Bush still holds on to a slender lead in Division 1. 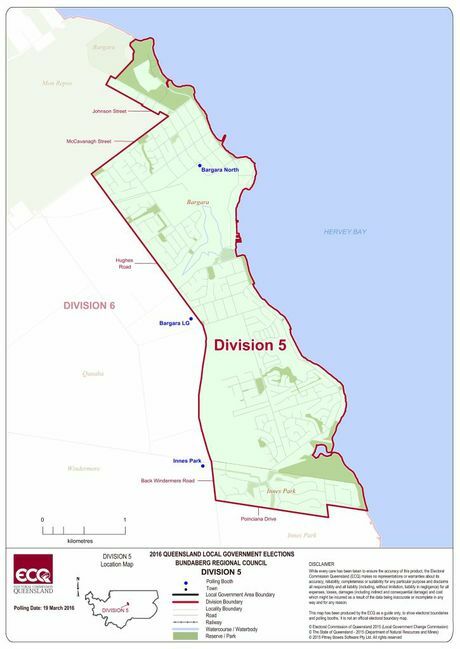 Councillors who are almost certain to be returned are Wayne Honor in Division 3, Greg Barnes in Division 5, Ross Sommerfeld in Division 7, David Batt in Division 8 and Judy Peters in Division 9. 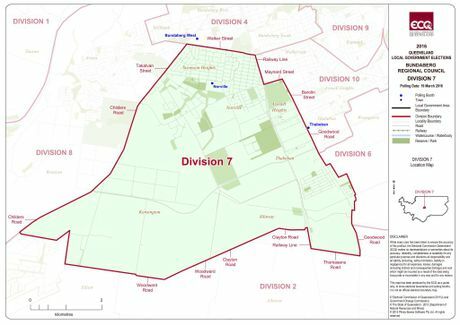 Defeated councillors are Vince Habermann in Division 4 and Lynne Forgan in Division 10. New faces are Bill Trevor in Division 2, Scott Rowleson in Division 6 and Peter Heuser in Division 10. The NewsMail is waiting for a response from the Electoral Commission Queensland on when the count is expected to be finished. 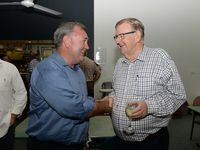 Jack Dempsey says thanks to voters: Bundaberg's incoming mayor Jack Dempsey has thanked the people who voted for him. Votes are slowly but surely being counted for the Bundaberg Regional Council election. It might not be declared for two weeks but Jack Dempsey will be Bundaberg's new mayor in a landslide election. He has 70% of the vote. Two sitting councillors look to have been ousted; Vince Habermann and Lynne Forgan. DIVISION 1 candidates can do nothing but wait nervously as election vote counting slowly progresses. 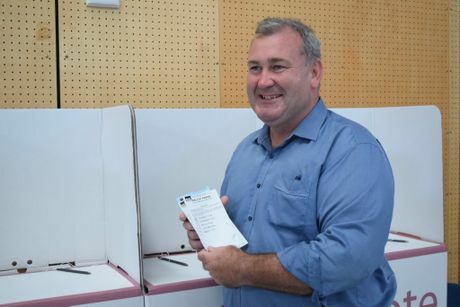 The race between Greg Messenger, Alan Bush and Jason Bartels is the closest of all Bundaberg Regional Council divisions, with only six votes separating first and second place. 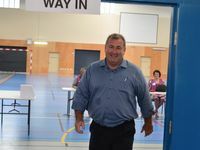 Mr Bartels, currently in second position with 1251 votes, said he was feeling a mixture of emotions in the lead-up to the official declaration by the Electoral Commission Queensland. "I am a little bit frustrated that we don't know sooner. We have to wait for pre-poll and declaration votes to be counted," he said. "I am feeling a bit impatient. I am the sort of person that likes to get things done and to know the direction that I am going in." Mr Bartels said he had thought the Division 1 battle would be close but nothing like what has happened. "I suppose you have three very good candidates there and the community has had a very hard decision to make," he said. "I am hopeful but not confident. 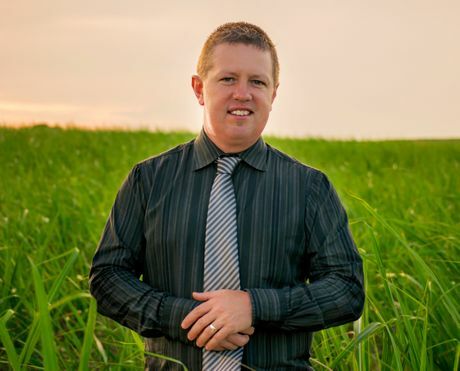 I have given my all to the campaign and I have worked very hard to get my message out to residents of Division 1 so hopefully the numbers are in my favour and I get to represent the people of the Bundaberg region." Mr Messenger, who so far has 1182 votes - just 61 votes behind Mr Bartels, said it was an anxious wait. "I thought it would be very close but not down to the small amount of votes that is separating us at the moment," he said. "I believe there has only been 56% of the votes counted. "(The ECQ) are now counting the pre-poll and postal votes, so we will need to wait for that. "There hasn't been a clear indication but probably by next Tuesday we will know definitely." Mr Messenger said he believed the poll was so close because of the standard of candidates vying for the role. "Both myself and Jason certainly have a lot of good qualities, and Alan, well there are certainly a lot of people who still believe he can do the job too," he said. "If you look at it that way, there are three good candidates." "It has been a really good experience. "You don't know if you don't try." Mr Bush, sitting in first place with 1257 votes, said he would comment after the election results were confirmed. JACK Dempsey is the seventh most popular mayor in Queensland- and he hasn't even started yet. That is the latest information to come from recent findings on the Electoral Commission Queensland website after a Fairfax Media report was published this morning. The report stated the number one trick to becoming top mayor had everything to do with who you were up against. Trends showed the highest support for a mayor was when there were fewest candidates. 10th - 68.64 per cent - Belinda Murphy, McKinlay Regional Council. 9th - 68.87 per cent - Mick Curran, Gympie Regional Council. 8th - 69.57 per cent - Aileen Addo, Mapoon Aboriginal Council. 7th - 70.2 per cent - Jack Dempsey, Bundaberg Regional Council. 6th - 71.43 per cent - Geoffrey Morton, Diamantina Shire Council. 5th - 72 per cent - Bruce Scott, Barcoo Shire Council. 4th - 73.8 per cent - Rob Chandler, Barcaldine Regional Council. 3rd - 74.92 per cent - Paul Antonio, Toowoomba Regional Council. 2nd - 75.72 per cent - Rex Burke, Napranum Aboriginal Council. 1 - 83.43 per cent - Paul Pisasale, from Ipswich City Council. THERE has been no significant change to the election count since yesterday. Division 1 - No clear winner between Jason Bartels (33.93%), Alan Bush (34.04%) or Greg Messenger (32.03%). BUNDABERG will have to wait before officially finding out who the new council team will be, with the final count not expected to be complete until Tuesday, March 29. When the NewsMail spoke to mayoral candidate Jack Dempsey today, he said the Electoral Commission Queensland would wait until every vote had been counted before officially announcing winners. "The referendum votes are to be counted first followed by the mayoral and councillor votes," he said. "The electoral office cannot declare the election complete until all votes are counted for, including pre-poll votes and institution votes." Mr Dempsey said the upcoming holiday season could also hinder the count. "Because of the Easter holidays, the count might be slowed up even more," he said. 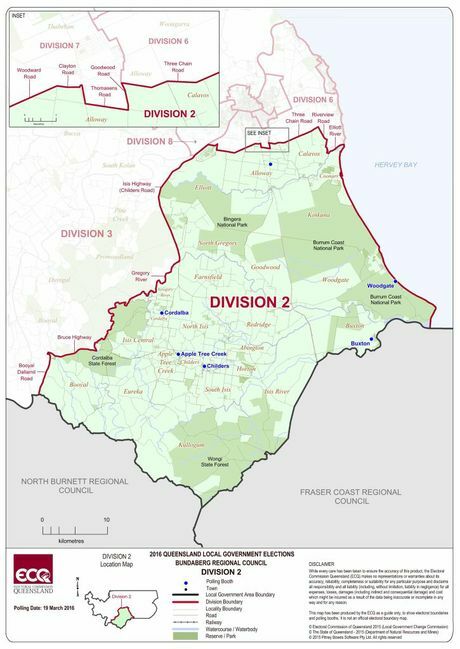 IT LOOKS like Bundaberg Regional Council will welcome a multitude of new councillors to take on the region's Divisions this year. Although counting is still being undertaken, candidates Helen Blackburn (Division 4), Scott Rowleson (Division 6) and Peter Heuser (Division 10) are so far in the running as winners of the 2016 election, with their voting numbers skyrocketing over the past few days. Leading Division 4 at 43.40%, Ms Blackburn said she remained hopeful to come out on top and was overjoyed with the support she had received so far. "I guess everybody is expecting that they are going to do well because they have put themselves out there and tried hard and the people that they have spoken to told them that they will vote fore them or support," she said. Ms Blackburn said, if she does make council, would like to first work on particular issues of concern for residents including drainage in the north side of Bundaberg, fully fenced playgrounds for mums with young children and off-leash dog parks. Scott Rowleson, who is so far forging the way for Division 6 with 41.51% of votes, said it was still early days. "Nothing has really changed over the weekend," he said. "They (counters) haven't really got back to Division 6 as far as counting the pre-poll goes. We are looking at either late tomorrow afternoon or Wednesday for pre-polling and postal votes." "I am still feeling confident and positive but not counting my chickens yet." Peter Heuser, who is leading Division 10 with 39.23%, said he remained hopeful of cementing his position for the remainder of the count. "I have been a little bit nervous with the result and having to wait," he said. "I would like to thank the people who have voted for me. My first plans (if elected) are to familiarise myself and to respond to those concerns that people have expressed to me when I was doorknocking." "I would like to work for the people who have voted for me in the Division 10 and also for the better wellbeing of Bundaberg." Mr Heuser is closely followed by sitting councillor Lynne Forgan, who is currently 223 votes behind him. 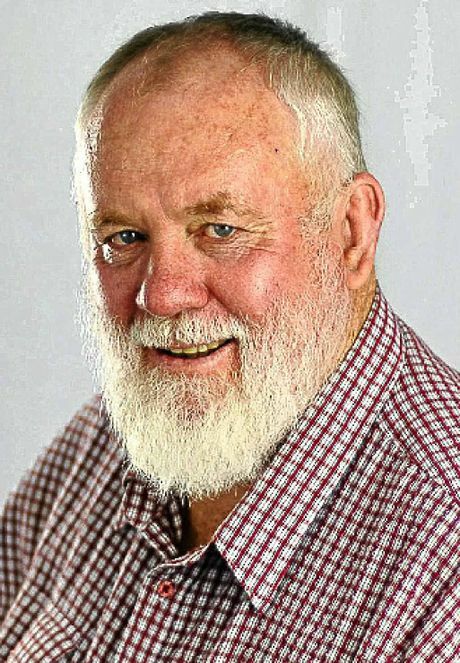 THE disappointment in Vince Habermann's voice was all too clear when he spoke to the NewsMail this morning about losing his Division 4 seat in the current election. Voting is still being counted but Mr Habermann is at an obvious loss with 20.72% of votes, trailing behind Helen Blackburn at 43.40%. Mr Habermann said he knew Ms Blackburn would be his main competitor during the election race but did not foresee the current results. "I am extremely disappointed. I wasn't expecting this," he said. 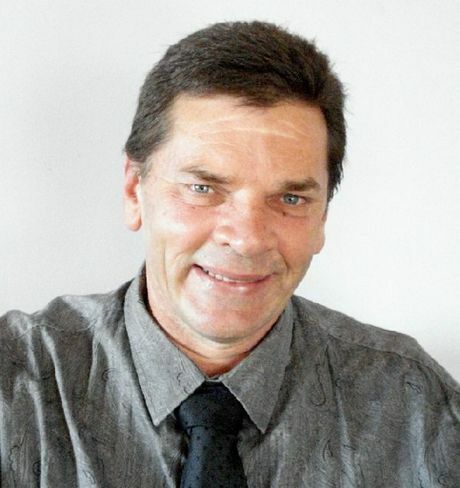 Mr Habermann spent four years as Division 4 councillor and Waste and Recycling portfolio spokesman and said he would now focus on searching for another job. "I have no back up plan. I don't know what I am going to do. At my age, it is hard. People look for younger employees," he said. 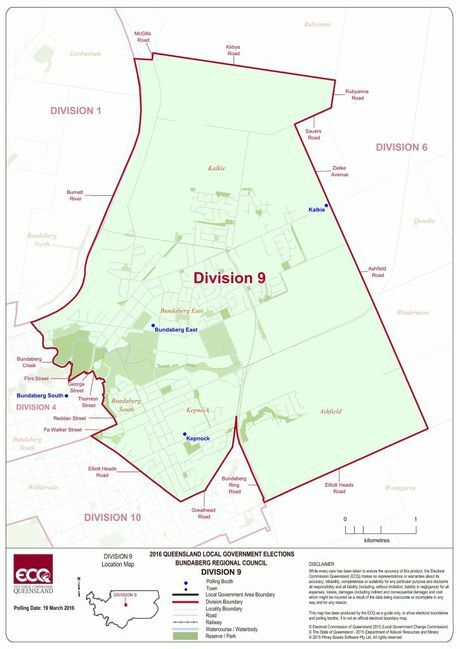 DIVISION 1 was the most hotly contested area. With 56.40% of the vote counted, incumbent councillor Alan Bush (33.99%) slipped back by one per cent to retain a slender lead over Jason Bartels (33.91%). Greg Messenger was not far behind with 32.1% of the vote. "It will really come down to the wire I think," Mr Messenger said. BILL Trevor declared victory in Division 2 after 37% of the vote had been counted. By Sunday with 6 of 15 booths counted, Trevor claimed 48.17% of the polling booth votes with Julie Green coming in second with 31.2%. Jim Nilon drew 9.95%, Paul McCarragher 5.38% and Stan Edwards 5.31%. "The talk is over, now the hard work starts," Trevor said. "Before this election people wanted change - they were saying rates were going up, there was drainage issues and money was being spent too freely. "This coming week I will sit down with Jack Dempsey and have a coffee and discuss a few issues." WAYNE Honor was "very confident" as the votes were adding up on Saturday night and he came out on top of his opponent Paul Bongioletti. With 5 of 14 booths, Honor claimed 71.09% of the vote ahead of Bongioletti at 28.91%. HELEN Blackburn led strongly over her four opponents in Division 4 with a 43.43% share of the vote, beating incumbent councillor Vince Habermann who was closest at 20.71%. But she was cautiously optimistic on Saturday night. "We worked really hard to make sure people knew who I was and what I stood for during my campaign," she said. Peter Macklin is third with 15.71%, Mike Edgar at 11.21% and Rachael Antrobus at 8.95%. GREG Barnes kept a comfortable hold of his seat with a 65.54% lead over Ross Peddlesden (34.46%), with four out of 12 booths counted. He told the NewsMail of his love for his role as councillor. "I just love it. I am passionate about the area and I get a real kick out of seeing things progress here. It makes me feel great, that might sound corny but it is true," he said. COUNCIL is becoming a family tradition in Division 6 with Scott Rowleson taking on his father Danny's seat. With eight of 16 booths counted, Rowleson had 41.51% of the vote followed by May Mitchell at 34.12%, Raymond Duffy 12.41% and Tony Castro 11.96%. ROSS Sommerfeld will likely return to council with a 49.56% share of the vote with four of 12 booths counted. His opponents, Blair Felsch and Richard Freudenberg, were neck and neck at 25.33% and 25.1% respectively. But Sommerfeld was humble: "I've got my fingers crossed; I'm not one to get too excited," he said. "Better candidates than me have been rolled and I respect the decision and that the people they choose will deliver. "I want to thank the opposition for a clean election." INCUMBENT deputy mayor David Batt looks set to hold his seat in Division 8 with a strong lead over Tracey Jackson with 47.07% of the votes counted. Mr Batt has secured 67.90% of the votes compared to Ms Jackson's 32.10% and said he was starting to relax a little bit after seeing the numbers. "It was a big decision I made eight years ago to leave the police force after 23 years and help people in another way and I really love what I do." With another former police officer in Jack Dempsey looking like he's as good as has the mayor's position in the bag, it will be a reunion on two fronts for the pair. 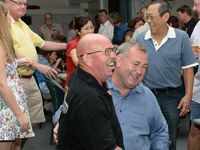 "I'd be happy to see Jack in; we worked together in the police force and also had a good working relationship when he was at the state government." IT WAS a tight race in Division 9 but Judy Peters looked set to return for another term. With five of 13 booths counted she held 32.59% of the votes ahead of Simon Obst (25.18%), Robert McGill (21.55%) and Brad Evans (20.68%). 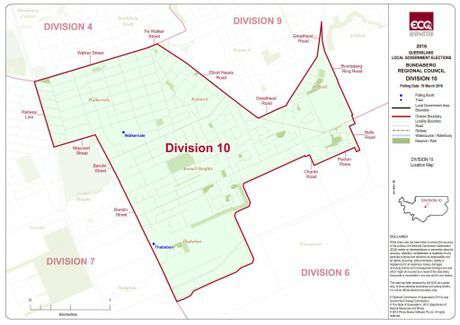 WITH two of 11 booths counted, Peter Heuser led the race for Division 10 with 39.78% of the vote, taking out incumbent councillor Lynne Forgan at 28.56%. Crystal Jones and Theresa Pascoe were on close footing with 15.86% and 15.79% respectively. He may have lost out in this election but it's not over for Peter Wyatt, who plans to start his own political party later this year to contest the next state election. "I'm going to create The Dependable Party," said Mr Wyatt, who took 3.76% of the vote. "I won't be running, I'll be the officer in charge and I'll be looking for people to join me. I want to get around 7 areas, to get between Labor and Liberal for the balance of power. Because we only have one house, they get away with blue murder - you've got to pull them into line." He said he had spoken with Jack Dempsey about putting some of his ideas around solar power into practice. "If he does that then that's good, I've done my job." The takeaway he got from voters on election day was the refrain, "I'm not going to vote for you because you're not going to win". "Jack was hard to beat," he said. "As soon as he drew the first marble, I knew it was over." Troy Madle is runner up to Jack Dempsey with 13.92% of the vote so far - and "the outcome's not all bad", he says. "Tracey (Jackson, candidate for Division 8) and I identified a lot of issues with council. We did our research and exposed a lot of things - like that council planned to borrow $141 million, heading for an 86% debt risk ratio. "From here on, council is aware of that and we're going to hold them accountable. "They've made the situation look good but in the next month, you watch what happens - the truth will come to the surface. "There's a good team there now and they'll do a good job. But last time, councillors got back in too easily and they let things slide. "The community won't let them rest on their laurels this time. "They've got to get back to delivering services and keeping rates to a minimum." If he did not stand, Mr Madle said "there would have been no other candidate of substance. "They all had wishlists. But they didn't raise the debt issue." He said Wayne Honor rang and congratulated him this morning "for raising the hard issues". "It was a good campaign and I just want to thank the people who helped me," Mr Madle said. "Jack said he would take Lynne and me out for dinner and discuss all the issues I raised and address those, and I'll hold him to that. "Jack was a good opponent, he fought clean." Mayoral candidate Elise Cottam was defiant on Sunday morning, saying she would wait and see what the final count showed. 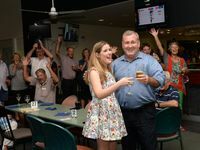 "The feeling across the region was it was going to be pretty tight and the count doesn't reflect that," she said. "Something is wrong." She said she would wait for the rest of the vote to be counted, but that she would be calling for a recount. "Those who are doing the counting and have been involved in other candidates' campaigns need to have a clear conscience by the end of the count. "The region said they wanted change - but I don't think (a lot of them) even put a thought into their vote." Tail-ender Reid Schirmer said he was "feeling buoyant" with 1.87 per cent of the vote - more than the 1% predicted in the NewsMail's poll. 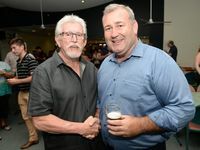 "The Bundaberg region has made their choice, and I congratulate Jack Dempsey," he said. "I'm looking forward to seeing how things how unfold with Jack as mayor. I'm confident things will become much worse before things become better again." Mr Schirmer was passionate about the plight of regional areas in Bundaberg. "The regional forums were very important," he said. "It was unanimous they feel left out and neglected with funding particularly in the past 8 years since amalgamation. "Jack is committed to doing the right thing. We all agreed about the issues at hand and we all agreed we needed a solution to that. We'll see how things pan out." Voting will continue in the Bundaberg Regional Council Election today with some seats still on a knife edge. Jack Dempsey won't claim victory but he is that far in front even Steven Bradbury wouldn't be able to catch him if he fell over. He will be the new mayor of Bundaberg. In Division 1 it is still a tight race with Jason Bartels and Alan Bush battling. With 49.84% of the vote counted, incumbent councillor Alan Bush (34.99%) holds a slender lead over Jason Bartels (34.35%). BILL Trevor has claimed victory in Division 2 after just 37% of the vote was counted. Trevor claimed 48.55% of votes counted. Julie Green is in second with 30.23%. 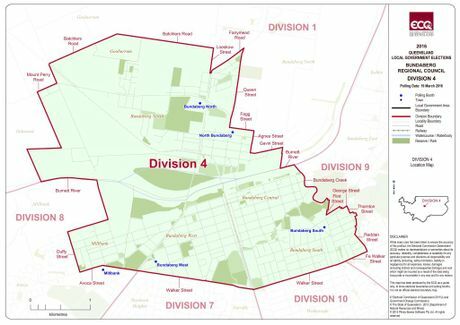 In Division 3 Wayne Honor will be re-elected. He has 67.09% of the vote after four booths of 14 have been counted. Paul Bongioletti is at 32.91%. It looks like there could be a new councillor in Division 4 with Helen Blackburn ousting sitting councillor Vince Habermann. Ms Blackburn holds the lead with 43.61% of the vote after two of 14 booths were counted. Greg Barnes has held on to his seat in Division 5.He is in a good position with 66.28% of votes counted so far. 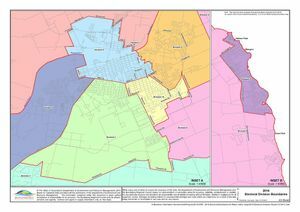 Sitting councilor Ross Sommerfeld is set to retain Division 7. Mr Sommerfeld has 48.21% of votes counted while fellow candidates, Richard Freudenberg and Blair Felsch currently sit at 26.14% and 25.65% respectively. 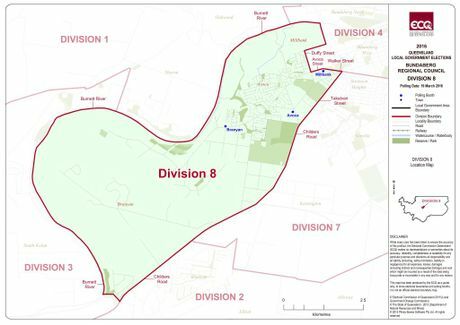 Deputy Mayor David Batt has retained Division 8. Mr Batt has 67.90% of votes counted compared to Tracey Jackson's 32.10%. Division 9 is a bit closer but early counting has sitting councillor Judy Peters out in front with 38.07% of votes counted. Simon Obst is in second place on 22.17% while Robert McGill following closely behind on 21.69%. The mayoral vote counting has reached 21 of 135 booths with Jack Dempsey still in the lead taking 71.07% of votes counted. Troy Madle follows with 13.43% and Elise Cottam on 9.88%. Alan Bush is holding a slender lead in Division 1 with 49% of the vote counted. Bush has 34.99% of votes counted and Jason Bartels has 34.35%. Cr Bush said he predicted a close contest and he envisaged the end result won't be known for a few days after postal and polling day declaration votes were counted. The Division 9 count has started with Judy Peters taking the top spot claiming 38.07% of votes counted. Simon Obst is in second place on 22.17% while Robert McGill is close behind on 21.69%. Bill Trevor is leading Division 2 with 48.58% of votes counted after four of 12 booths were counted. Julie Green is second on 32.36%. David Batt is in the lead spot for Division 8 with 67.71% of the vote after the first booth of 12 was counted. Tracey Jackson is currently at 32.29%. Ross Sommerfeld is leading the way in Division 7 with 51.4% of votes counted. So far, one of the 12 booths have been counted. Blair Felsch sits on 27.10% and Richard Freudenberg on 21.50%. Division 6 is being led by Scott Rowleson on 48.71%of votes counted while May Mitchell follows with 31.08%. A total of one booth out of 16 has been counted. Scott Rowleson hopes to represent Division 6. The second booth from Division 3 has been counted with Wayne Honor leading the way at 60.53%of the vote. Paul Bongioletti follows on 39.47%. ALAN Bush is leading the way in Division 1 with 51.97% of votes counted. DIVISION 2 vote counts have started to trickle in with Bill Trevor in the lead. A total of 109 votes have been counted in booths 1 of 15. Mr Trevor has taken 50.48% of votes counted while Julie Green is second with 22.86%. Mayoral candidate Jack Dempsey has shot out to an early lead with 76% of the vote from the first polling booth counted. The Electoral Commission will count referendum votes first tonight before they start to count the mayoral and divisional votes. That means the vote could go late into the night. Another thing making the count less predictable is there are about 20,000 pre-poll votes and these may not be counted until Monday. Close contests may not be decided until next week. "I'm on my last legs it's been a huge day it's been good though I have had some great feedback," Ms Cottam said. "It's defiantly anyone's game tonight." Ms Cottam will spend tonight at the Childers Hotel for thank you drinks with her volunteers and supporters. "They have really helped me out for the last couple of months," she said. "I'm feeling good, just a bit tired and will enjoy a couple of cool beers a relaxing chat tonight." Mayoral candidate Jack Dempsey said he was feeling positive after a huge day out and around the polling booths. He said all candidates had worked very hard. "I'm very positive at what I saw at all the booths, Mr Dempsey said. "I just have to wait now, everyone has done their best," Mr Dempsey said. Mr Dempsey predicted there would be some very tight contests across the board. Mayoral candidate Reid Schirmer said he was worn out after a huge day. "I'm exhausted but feeling good," Mr Schirmer said. "I enjoyed the whole campaign and learnt quite a lot about many different issues. "It was a privilege to meet so many people and to converse with the other candidates as well. "We all agreed on a lot of issues but had different ways of fixing them. "It was a good campaign and we all did our best." Mr Schirmer said he was going to have a quiet one tonight. "I'm cooking for my partner and will just keep an eye on the result." "It's a pretty laid back evening." The NewsMail could not contact the Mr Madle. The NewsMail could not contact Mr Wyatt. There is just one hour to go in the Bundaberg Regional Council election with all candidates saying they have done all they can. At 6pm the count will start and with more than 66,000 votes it could be a long night for candidates in close contests.. The NewsMail will keep you up to date with the count as it happens on this page. One thing is for sure we will have a new mayor, who that will be is the big question. THE NewsMail has been trying to contact Troy Madle and Peter Wyatt for comment today. Mr Madle said he would contact the paper when things "settle down". 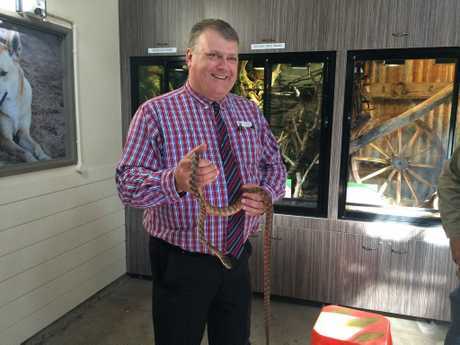 He is currently working hard to secure votes to become Bundaberg's next mayor. 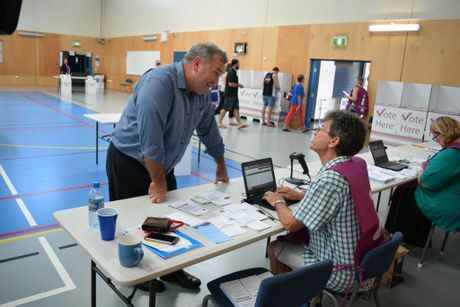 Peter Wyatt is also working hard at the polling booths but attempts to contact him have failed. It's been a hot day on the campaign trail for Bundaberg's five aspiring mayoral candidates. 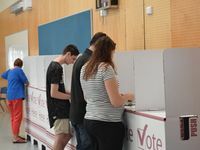 Jack Dempsey, Troy Madle, Elise Cottam, Peter Wyatt and Reid Schirmer have endured temperatures close to 33 degrees in Bundaberg with some polling booths a lot hotter than that. 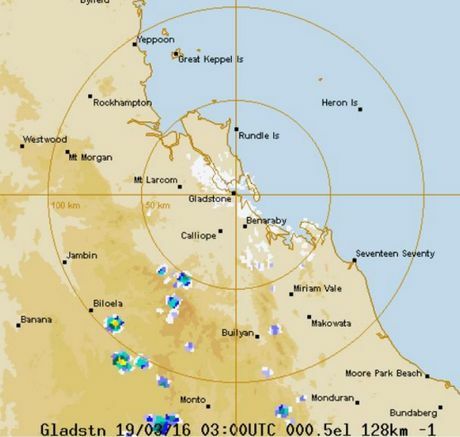 Predicted rain did not hit this morning but there are a few storms starting to brew west of Bundaberg. Weather reports suggest these could hit the area this afternoon and could be severe. The NewsMail will keep readers up to date with storm activity throughout the afternoon. The best bet, if you haven't already voted, is to do it now. Storms are starting to form west of Bundaberg. Mayoral candidate Elise Cottam has cast her vote at Apple Tree Creek. Ms Cottam has been busy pressing the flesh at numerous polling booths this morning and is eager to see as many voters as possible. "I'm getting a bit tired it's so warm," she said. "Heading to Woodgate now and then to Thabeban and out that way. "Been concentrating on the outer areas this afternoon after being in Bundaberg this morning. "Everyone one is happy to see me and have a selfie. " The selfies have been fun but I'm getting a little bit tired now and ready for the close at 6pm and the count to begin." VIDEO: People handing out how-to-vote cards at Norville State School say why you should vote for their mayoral candidates. Jack Dempsey cast his vote at Norville State School with hundreds of other people this morning. The former State Police Minister said he was feeling confident but said he would feel a lot better tonight once he knew the result. A perspiring Mr Dempsey posed for photos with television crews and other media including the NewsMail. Mr Dempsey shook nearly every person's hand as he entered the polling booth. 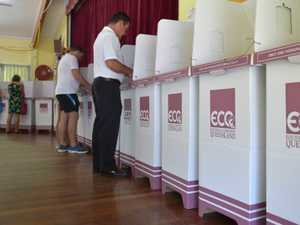 He said he was getting a lot of positive feedback from voters leaving the polling booths around the Bundaberg region. "Everything seems to be positive, the people are very friendly and there is a lot of comradery between all of the candidates and all are in good spirits. 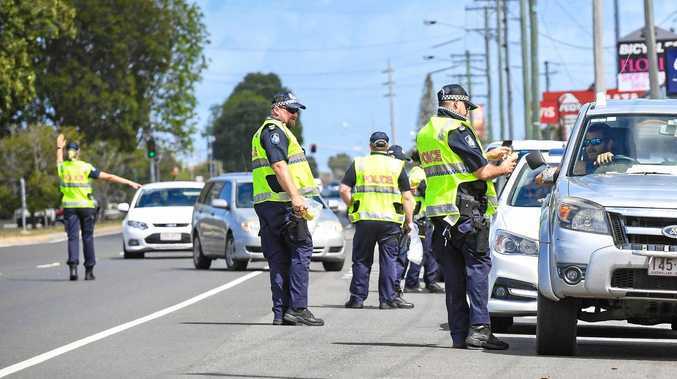 "It's positive for the future of Bundaberg. "My heart is in my throat and I'm taking nothing for granted. "I am going to work right up until the last second. "I have to be humble and accept the decision of the people." Get in early to vote or take your umbrella because Bundaberg could be in for rain this afternoon with the weather bureau saying there is a medium (60%) chance of showers from late this morning. There is also the chance of a thunderstorm this afternoon and evening, possibly severe. Winds NW/SW 15 to 25 km/h tending SE/SW 15 to 20 km/h in the morning then tending NE/SE in the early afternoon. Rank outsider in the mayoral race, Reid Schirmer, has cast his vote in the 2016 election. 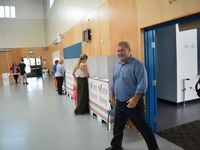 Voting at the North Bundaberg State Primary School Mr Schirmer said he was feeling good. "It's great to see so many people out early to vote and make their vote count," Mr Schirmer said. "I am looking forward to seeing the final count of votes." Mayoral candidate Elise Cottam said she was feeling comfortable this morning despite the hot weather. When the NewsMail spoke to her she was just leaving Sharon on her way to Gin Gin. "I have been all round the region this morning," Ms Cottam said. "I have been to Bargara and North and East Bundaberg doing a round trip all day long to all the polling booths just saying g'day and doing the water deliveries. "I'm feeling upbeat, pretty excited but not over confident, just nice." Voters in Division 2 have been warned about reports of difficulties at Branyan State School this morning. One voter said she had to wait more than half an hour to vote because of a technical issue. She has urged voters to go to another booth. JACK DEMPSEY is an unbackable favourite for today's Bundaberg mayoral election with Sportsbet yesterday revealing not a single cent had been bet on him winning at odds of $1.10 to one. Mr Dempsey remained at the short odds yesterday with his nearest rival Peter Wyatt well behind at $10. Following behind in a tight middle bunch was Elise Cottam close at $11, Troy Madle at $13 and Reid Schirmer trailing the pack at $34. In an exclusive NewsMail online poll, which closed yesterday, Mr Dempsey's popularity was also highlighted. The poll, which cast 434 votes, put Mr Dempsey in the top position at 57% and Mr Madle in second place with 24%. Ms Cottam came in third with 11% followed by Mr Wyatt (4%) and Mr Schirmer (1%). Earlier in the week candidates told the NewsMail they were paying no attention to the betting odds as they prepared for today's final result. "It's lucky I'm not a gambling man," Mr Dempsey said. "I'll keep trying as hard as I can and as best I can until the polls close on Saturday. "Then the real work begins." Mr Madle said he had been buoyed by encouragement from the community. "I get this real groundswell of support - it builds you up and makes you feel like you're going to make it across the line," he said. "I've had people at the Bargara forum come up to me and say 'it's a two horse race." Ms Cottam thinks election odds are nothing more than a bit of fun. "It's quite funny really - I don't know how seriously you can take (the Sportsbet odds)," she said. "I'm keeping an open mind - may the fairest person win." Mr Wyatt pointed out that the bookies had been wrong in the past. "They had them for the last state election. Leanne Donaldson was $3.60 and Jack Dempsey was $1.80 - and he got done," he said. "My overall opinion is betting is overdone. Mr Schirmer - at the longest odds - said he was taking inspiration from Melbourne Cup winner Michelle Payne. "She came in at about 100 to one," he said. "That was a tremendous victory. "But I'm not a betting person myself." Do you know who to vote for in your division? Below, you will find all you need to know ahead of polling day on Saturday, March 19 so that you can make an informed decision. This page will be updated as more information comes to hand. If you have a suggestion or if there is something specific you would like to know, email us at editorial@news-mail.com.au. Pre-polling begins from Monday, March 7 and finishes on Friday, March 18. 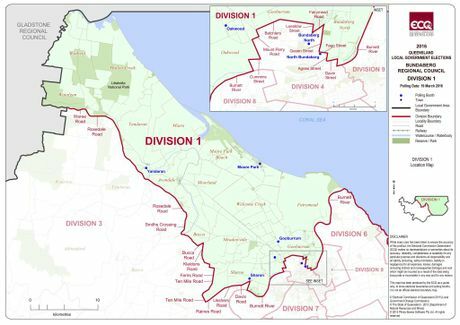 There are 10 divisions in Bundaberg. 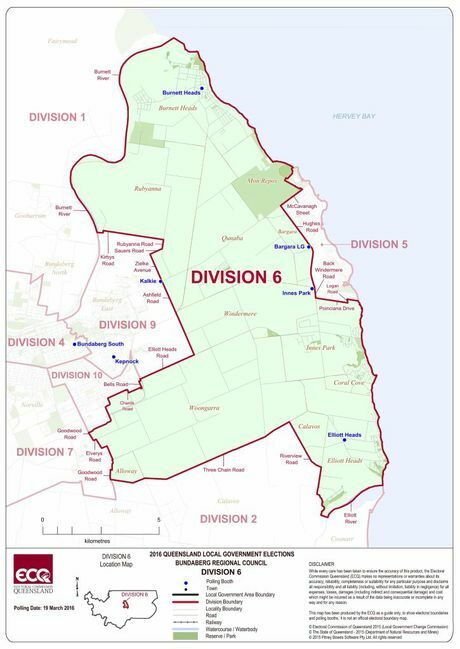 With the recent changes to divisional boundaries voters can be forgiven for not knowing who their representative is. Scroll down and select Bundaberg Regional then type in your address. It's that easy. On March 19 voters will be asked to approve fixed, four-year parliamentary terms in a referendum. Labor and the LNP have combined to pass laws to extend the current three-year terms and fix an October election date, if the referendum is successful. Do you think four-year fixed terms for our state politicians is a good idea? This poll ended on 17 March 2016.
Who will become the next Bundaberg Mayor? "I'm 49, I know that I've still got a lot to offer and I've got a lot of experience through all levels of government." Listen: Mr Dempsey outlines his vision for the Bundaberg region at the Childers mayoral forum. "We have a unique situation where we have great potential with tourists." 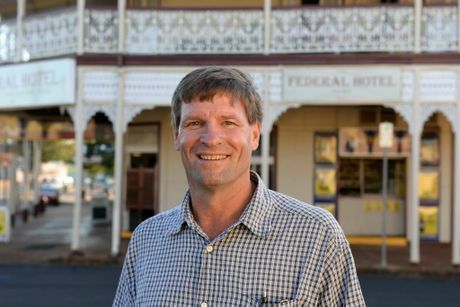 Listen: Mr Schirmer discusses the importance of tourism at the Childers mayoral forum. "I'm going to take $50,000 from my salary put it into $20 notes, and a week before Christmas, I'm going to walk through shopping centres focusing mainly on women with children - and I'll hand them $20 of my wages." Listen: Mr Wyatt talks to voters about renewable energy at the Childers mayoral forum. "I can relate to everyone. I'm a wife, mother, a grandmother, a business owner and I had struggles and I work hard as an SES volunteer." 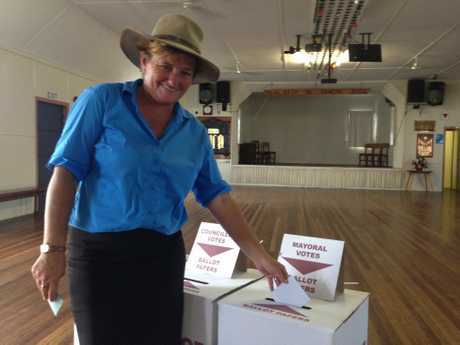 Listen: Mrs Cottam talks about what type of mayor she would be at the Childers mayoral forum. "I am positive I can bring together Bundaberg and its rural regions and unite the harmony required to go forward." 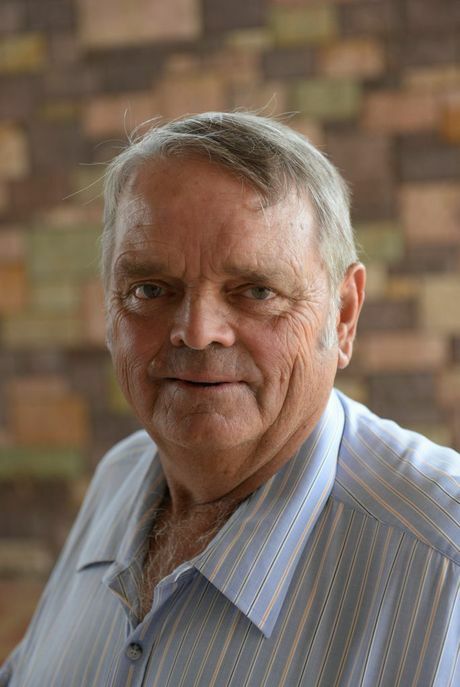 Listen: Mr Madle talks about his plans if elected mayor at the Childers mayoral forum. 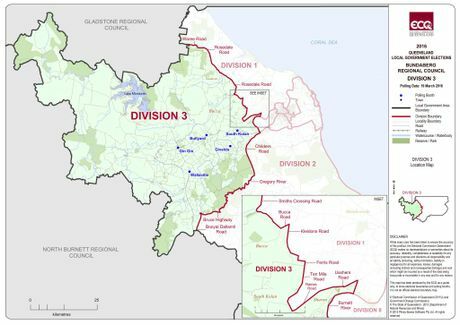 Below you will find a map for each division along with that division's candidates. To find out more about a candidate, simply click on their name. For the past few months the NewsMail has covered everything from mayoral candidate announcements to policy proposals.